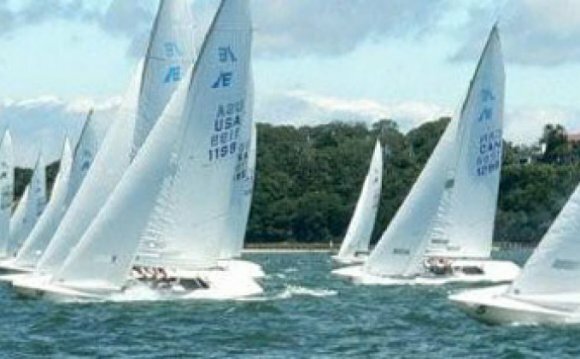 Our company is excited is kicking off the 2017 Junior Sailing system this month once we open enrollment to club people on January 17, 2017 at 10 have always been. When you yourself have kiddies or grandchildren to enroll, kindly keep reading for details. GOAL: it's our objective become the premier junior cruising system on longer Island Sound – more professional, the most inspirational, while the most FUN! First and foremost, we train outstanding sportsmanship. To keep up the large standard of our program, Sailing Director Jeff Bresnahan has already started recruiting trainers from a global pool of prospects and making programs for a stellar summer time. TIME: The eight-week program starts Monday, Summer 19th and concludes on Friday, August 11th. Four-week options are available for some age ranges. Optional motorboat check may be performed on Sunday June eighteenth. All the other ships would be examined on the first-day of training, Monday, June 19th. REGISTRATION: Early registration ﬁgures tend to be crucial to optimizing class sizes and top-notch instruction. To register your junior sailors, log on to the SIYC site and proceed with the instructions for program enrollment beneath the Junior Sailing tab. QUESTIONS? This might integrate issues with internet based registration, placing your kids inside correct group, ships and gear, etc. You may please reach out to united states if for example the summer time programs are not yet ﬁrm and you also wish to discuss options. We are in addition excited to announce that we is hosting JSA C420/Laser Champs on August seventh and 8th. Kindly spread the word to non-SIYC members just who might-be contemplating the junior cruising program. Registration opens to non-members on February 15, 2017.